The new ARK Survival Evolved update 263 brings fixes and improvements on PCs. ARK update 263 will soon roll out to PC users. 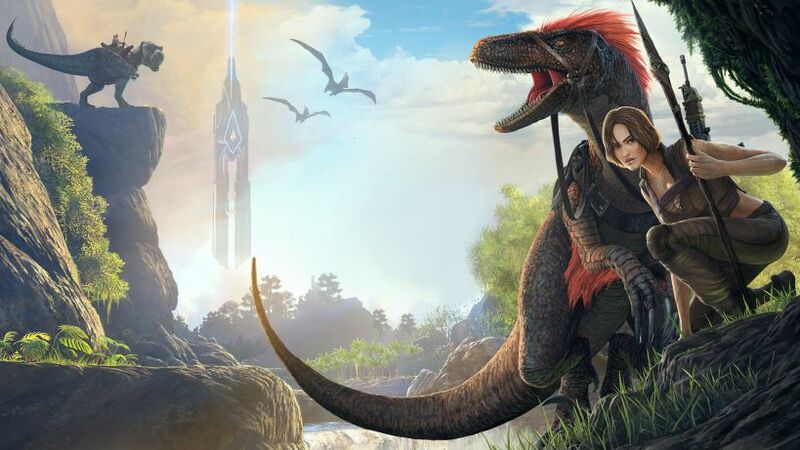 The new ARK Survival Evolved update 263 includes fixes and improvements to the game. According to the official patch note, the update has increased the ride distance on flyers to help to get on them when you’ve fallen in the water. In addition, you don’t see many Terror Bird Armies as the new update has increased the spread of Terror Bird spawns in the Redwoods. The latest patch has removed all the non-statted items from crates that are higher tier than the first crate where that non-statted item is found. Previously, the developer’s released major update 262 and update 262.16 for PC players. Yesterday, Xbox One players also received ARK update 759. ARK Survival Evolved update 263 fixed a case where the cursor would vanish when navigating through Primitive+ Menus. Fixed an issue where you wouldn’t be able to see ARK Data items unless you toggled folder view. Slight increase to Trike Wild damage. Increased rate at which Alpha creatures spawn in Single Player. Decreased the amount of Eeels in PGM. ARK Survival Evolved update 263 increased the spread of Terror Bird spawns in the Redwoods so you don’t see as many Terror Bird Armies. ARK update 263 for PC increased the number of creatures in TheCEnter Deep Water Zone. Optimised foliage and Rock destruction meshes. Jumping Puzzle on the Center now awards 3 top-tier supply crates for completion. Center Underworld Rafts no longer teleport to the top of the map. ARK Survival Evolved update 263 fixed the dark post processing in TheCenter Deep Water. Fixed a case where TheCenter Barrier wasn’t visible underwater. TEK Cave pool now refills your element, as well as causes you damage if you’re not wearing a full element set. Made the weather effects on TheIsland and Center more visibly clear (you’ll see clouds changing). Lots of Deep Sea crates adding to TheCenter Deep Sea Cave. ARK update 263 for PC added a bunch of Coel to the main waters in TheCenter. Itchy and Pego will not steal Skins from players. Ghillie Suit now only has 70 base durability rather than 120. Reduced the amount of stalling caused by a GC. Removed all the non-statted items from crates that are higher tier than the first crate where that non-statted item is found. You now get an on screen message when you fall off the map. ARK update 263 for PC fixed a case where the Gorilla Boss would float and walk backwards, unable to attack anything. Stego and Rexes socket fixed so no longer laying eggs upside down. Fixed an issue where you may see blueprints of items inside certain structures (e.g Water skin inside of Water Tap). Re mapped some Center Spawns in caves so they aren’t clustered as much. Fixed Leed spawns on TheCenter so they should not spawn in shallow waters. Slightly adjusted temperatures across TheIsland and TheCenter so they are more appropriate (e.g warmer in jungles, colder in water). ARK Survival Evolved update 263 added additional damage and health adjustments to the Dragon, Megapithecus, and TheCenter bosses. ARK update 263 for PC fixed a case where language translation may not have properly displayed. Tooltip no longer stays when scrolling the Engram and Inventory UI. Fixed cases of Overspawn in TheCenter. Adjusted the IslandCoves PGM to make it more islandy and cove-like? ARK Survival Evolved update 263 reverted the raft change so foundations can now be stacked again on Official Servers. ARK Survival Evolved players on PS4 are still waiting for the latest update. According to the developers, they are expecting to deliver new build for PlayStation 4 this week. A minor update 759.2 will also roll out for Xbox One players today. For players on PCs, ARK update 263 will be available in few hours today.